According to the Substance Abuse and Mental Health Services Administration (SAMHSA), half of all amphetamine-related emergency room visits in 2010 involved nonmedical use of the drug. Almost a third of those visits involved adverse reactions to amphetamine medications. Roughly half of the amphetamine-related emergencies involved the use of an additional prescription medication, and nearly 1/5th involved the use of other substances, most commonly marijuana or alcohol. 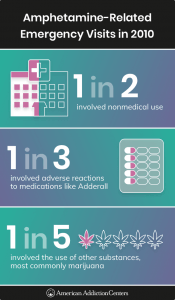 These statistics underscore the high risk of abusing Adderall and the risk of abusing Adderall with other substances. Noticeable changes in behavior, such as intense anger, hostility, or paranoia. Changes in appetite/marked weight loss. Intranasal effects, such as nosebleeds or irritated nasal mucosa. Signs of injection use, such as track lines, puncture marks, abscesses, or cellulitis. “Doctor shopping,” or seeing multiple doctors to get several prescriptions. Knowing the potential signs of abuse can prepare you to help someone who might have an Adderall problem. There are many detox and addiction treatment options available for someone who needs help quitting Adderall. Formal treatment programs provide patients with the structure, support, and care needed to help them withdraw comfortably and achieve long-term recovery. The longer you abuse Adderall, the higher your risk is of experiencing detrimental consequences. Adderall abuse is dangerous and even life-threatening. It’s not worth the risk. Quitting Adderall can help you take the vital steps towards a healthier and happier life. Vivid or unpleasant dreams and nightmares. 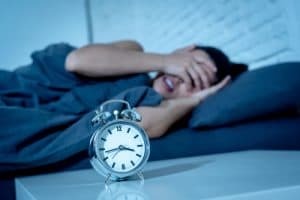 Sleep disturbances – either insomnia or hypersomnia. Irritability and/or other mood disturbances. Dysphoria, or a general feeling of dissatisfaction. Average dose being regularly taken at the time of cessation. Detox can last longer for those who take higher or very frequent doses. Length of time taking Adderall. Those who have been on the medication for longer periods of time may experience more persistent and severe symptoms. It is important to note that it is most common to relapse within the first 4 weeks after quitting; therefore, it is important to consider home and environmental supports that can enhance you or your loved one’s chances of a successful detox and recovery from Adderall. Detox programs will often comprise the initial period of a more robust, longer-term rehabilitation program or will otherwise help you transition into one after successful navigation of the withdrawal period. Once detoxification has been successfully completed and a comprehensive treatment regimen commences, you can expect to participate in various group, individual, and family counseling sessions;10 some treatment facilities also offer classes such as art or yoga therapy as well. You consume more Adderall than you intend to or more than is prescribed. You have failed in your attempts to quit using Adderall or focus on quitting often. You spend a lot of time using Adderall or trying to obtain it. You often neglect responsibilities at home, at work, or at school in favor of using Adderall. You notice that using Adderall worsens your health but continue using it. You use Adderall in situations that could be dangerous or even life-threatening — for instance while driving or working at a job where your attention is required to prevent injury. You give up activities that you once enjoyed in order to use Adderall. You notice that you are using more Adderall to get the desired effect or you notice that it does not have the same effect that it once had. You experience symptoms of withdrawal if you attempt to stop using Adderall. Abnormal dopaminergic and serotonergic neurotransmission. These risks highlight the importance of finding help for an addiction to Adderall. It’s never too late to begin on the road to recovery. Because Adderall withdrawal, in some cases, is associated with mental health symptoms like anxiety and depression, it can be important to detox in a program in which you can get support for these issues. A detox program can furthermore help with relapse prevention while supportively managing other significantly troublesome symptoms. It’s never too late to begin on the road to recovery. The length of time it takes to detox from Adderall and the intensity of symptoms you may experience vary widely from person to person. Seeking guidance and supervision in a formal treatment program will help you to detox in a safe and more comfortable manner, which will also reduce the likelihood of relapsing to avoid the discomfort of withdrawal. If you believe you would benefit from treatment for Adderall dependence or addiction there are several options available. This type of care might entail a gradual tapering of prescribed Adderall with close physician supervision of your withdrawal process via regular outpatient check-ins. 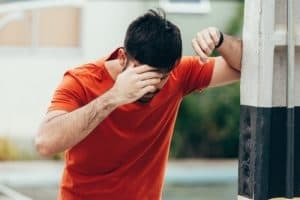 After you’ve successfully detoxed, you will generally be advised to continue with some form of substance rehabilitation in which you can continue the process of recovering from Adderall addiction. Speak to your physician to discuss whether this option might be appropriate for you. Inpatient detox may be the preferred option for many people who are suffering with relatively more severe Adderall addictions and addiction-related concerns. 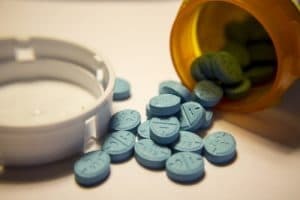 It can provide an appropriately immersive level of treatment for those who have been abusing high doses of Adderall, who use Adderall with other substances like alcohol, or who have co-occurring mental or physical health conditions—all of which can significantly complicate the withdrawal syndrome. Recreational therapy and other wellness activities. Detox protocols and treatment settings vary from program to program; it is important to speak to a professional who can evaluate your unique situation and make appropriate treatment recommendations. Maintaining abstinence from Adderall can be difficult when living in the same environment in which you previously abused the drug. Often, there are triggers in your immediate environment that could promote relapse if you don’t have the proper support. 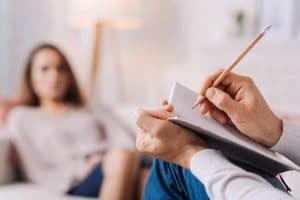 Partial Hospitalization Programs (PHPs) and Intensive Outpatient Programs (IOPs) can help you to smoothly navigate this transitional phase—which is critical to long-term sobriety.12 You can expect group therapy to be the primary focus of either of these structured outpatient options, but some offer weekly family sessions and individual sessions as needed. Partial Hospitalization Programs (PHP) and Intensive Outpatient Programs (IOP) can help you to smoothly navigate this transitional phase, which is critical to long-term sobriety. PHP often entails a full day of group substance abuse therapy. The hospital/clinical setting will facilitate the prescribing of any needed medications and access to other medical services. Meeting for a few scheduled hours a day throughout the week, IOP provides a group therapy program where medications are managed by your outside provider.10 There are substance abuse-specific and mental health-specific programs. Again, each facility is different, so it is important to speak to someone who can refer you to the right facility for your sustained recovery. Classes on nutrition and healthy eating. Alternative therapies like yoga and medication. These facilities can greatly vary in price and location so it is important to speak to someone who can help you make the decision that is within your budget that also suits your treatment needs. Heal, David J. Smith, Sharon L. Gosden, Jane. Nutt, David J. (2013). Amphetamine, past and present – a pharmacological and clinical perspective. J Psychopharmacol, 27(6): 479–496. United States Drug Enforcement Administration. (n.d.) Drug Scheduling. Substance Abuse and Mental Health Services Administration. (2013). The Dawn Report: Emergency Department Visits Involving Attention Deficit/Hyperactivity Disorder Stimulant Medications. U.S. National Library of Medicine: MedlinePlus. (2017). Dextroamphetamine and Amphetamine. Australian Government Department of Health and Aging. (2004). Models of Intervention and Care for Psychostimulant Users, 2nd Edition.